The visitor centre car park, Foulness Island. Artist Alan Hockett and I were working on a project called #essexmeme where we were collecting myths and legends from the darker, more mysterious corners of the county. 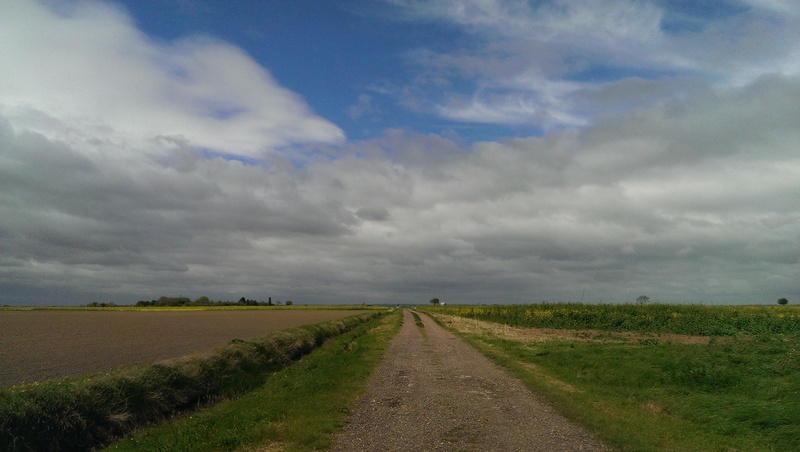 We visited the Foulness Island several times, and walked on the Broomway, and on one visit I took a few minutes to record the ambient sound outside the Visitors Centre. There was an open day, so there were more people than would usually be present on the island. The line of trees on one side of the field was also revealing how windy this place is. One thing that you can’t tell from this recording is how immaculate the grass was on the car park… it looked like baize on a snooker table. We guessed it’s hardly ever used and it felt wrong to drive on it. Anyhow, everyone was, and if that’s how they do it in Foulness, then who are we to differ?